Site of the planned San Francisco International Airport, home to the 1939 Golden Gate International Exposition, former Naval Base and future San Francisco neighborhood, Treasure Island and Yerba Buena Island have and will continue to play a significant role in the experience of San Francisco Bay. 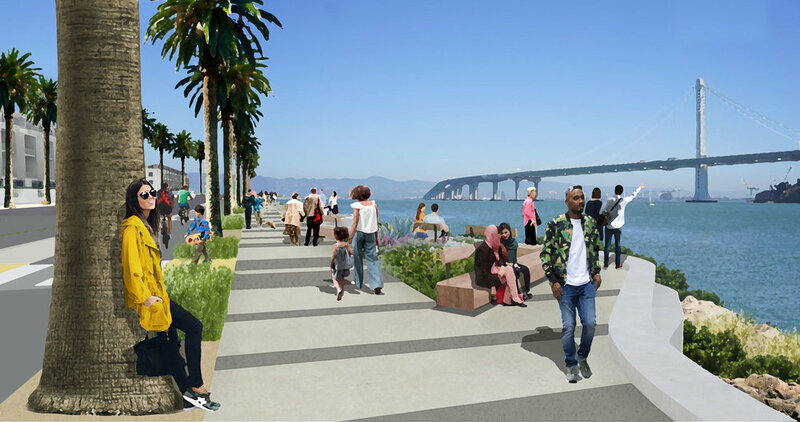 The concept for development embraces the natural forces and beauty of the Bay, and combines a magnificent natural park with compelling urban design to create 250 acres of open space and parks. A winner of numerous awards for its environmentally sensitive approach to sustainable development, The Clinton Global Initiative and the American Institute of Architects, Treasure and Yerba Buena Islands are poised to set the standard for re-development within an existing urban context. A model for sustainable development, the design proposes innovative strategies for storm water management, transportation infrastructure, urban agriculture, habitat reconstruction, and environmental stewardship.